The Lodge, Farm House, Base Camp, Woodlands and 2 The Woodlands all have their own fully equipped kitchen for you to self cater. You can bring food with you or you can organise a supermarket delivery which is a good way to make buying the food for your visit less onerous and most of the major supermarkets will deliver to the site. If you do organise a food delivery, please ensure you are on site to take the delivery of it (unfortunately we cannot take the delivery on your behalf). Also, please reference the school name when booking so that the office staff here know where to direct the driver on arrival. 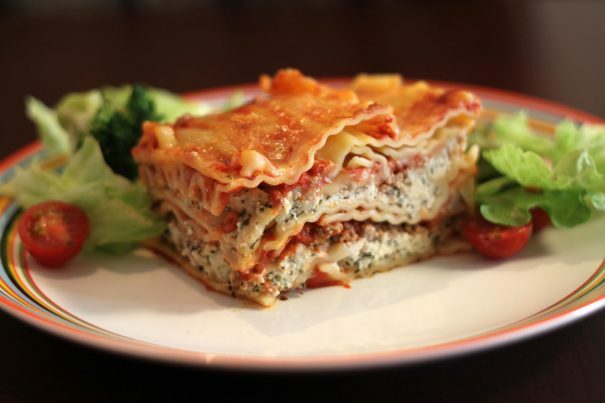 We will shop for all your meals, from your evening meal on day 1 to your sandwich lunch on your last day (groups usually bring a packed lunch from home for the first day). The food will be mainly home cooked and the menus are designed to consider both healthy eating with the requirements of young people and adults during an active residential visit. We will also provide a 2 course evening meal ready for you to put in the oven each day along with ingredients for you to make your continental breakfast and packed lunch on each day and a supply of tea, coffee, squash and biscuits. Shop & Prep is subject to availability of our outside caterers. We will shop for all your meals, from your evening meal on day 1 to your sandwich lunch on your last day (groups usually bring a packed lunch from home for the first day). The food will be mainly home cooked and the menus are designed to consider both healthy eating with the requirements of young people and adults during an active residential visit. 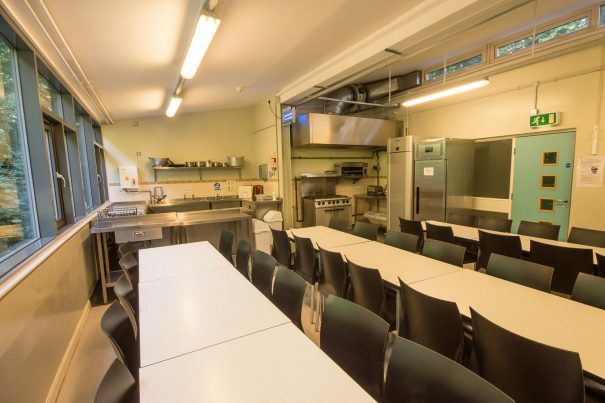 We will also prepare, cook and serve a 2 course evening meal, make sandwiches (if required), provide ingredients for you to make your continental breakfast on each day and provide a supply of tea, coffee, squash and biscuits. Schools will still manage their own breakfast and the group are to lay tables and wash up. If you would like all meals managed and washing up done for you, please contact us for a price. Fully Done is subject to availability of our outside caterers. We can cater for all dietary requirements including allergies and intolerance’s, please advise us at the time of booking. Please see our Useful Resources section for dietary and allergy information. Cereals (Weetabix, Rice Krispies, Cornflakes, or similar), toast, preserves, tea, coffee and squash. Sandwiches with a choice of tuna, cheese and ham fillings, packet of crisps, cereal bar (or similar) and piece of fruit. Please ask all children to bring a drinks bottle to refill each day. Please choose one main meal and one dessert for the whole group from the options below, for each evening of your stay. Vegetarian versions of each main meal are stated in brackets. All desserts are available to order with either Custard, Vanilla Ice Cream or Pouring Cream. Please see our Residentials Visits page. If you do organise a food delivery, please ensure you are on site to take the delivery of it (unfortunately we cannot take the delivery on your behalf). Also, please reference your group name when booking so that the office staff here know where to direct the driver on arrival. You are welcome to organise an outside caterer to come in and prepare your meals for you. We can tell you which caterers we know that have been here before and are familiar with our site. Please contact us. Bakewell is home to plenty of pubs, fish and chip shops, restaurants, butchers, takeaways, cafes and other speciality food shops. For day groups, you can book a packed lunch, a buffet lunch (hot or cold), or even a BBQ (subject to availability). Please contact us for prices.